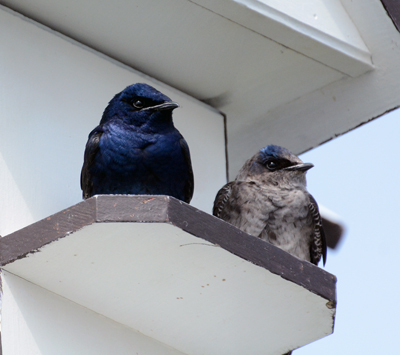 Want to have Purple Martins in your backyard this year? is shortly after the arrival of these first birds. This will enable the martins to establish their residency before aggressive sparrows and starlings move in. Timing can be tricky, but check out the Purple Martin scout arrival study which shows in real time, where birds have been reported. If you have had martins in your house before, this is invaluable information as you can get fairly accurate scout arrival timing. Regardless, you might want to keep an eye out for these beautiful birds and report when they are seen in your area. This will help with arrival date data and help other folks who are hoping to attract Purple Martins to their yard know when to expect those scouts! The Purple Martin Conservation Association has all the info you need to have the best shot at a successful martin residence this year.